All Beltways full-length CDs are available at iTunes! Listen & buy at CD Baby, Kool Kat, Not Lame, iTunes, or Great Indie.com! it's the only one you should have." Includes "The Beltways," "Stella on Mars," and "Leftovers"
Listen & buy at CD Baby or Not Lame, iTunes, or at Great Indie.com! Coffee shops, you hear it? That's Mista Joe — That's Mista Joe! OOOOH That's Mista Joe — That's Mista Joe! Yeeah that's Mista Joe — That's Mista Joe! Did you see Punk Rock Joe? Did you go to a party with your friends all dressed in black? Listen and buy at CD baby or at iTunes! of the 40s...of the 30s... I liked the 20s.........etc. 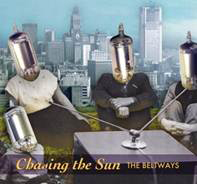 The Beltways contributed "Goin' Down to Memphis"
The Beltways contributed "His Latest Flame"
The Beltways contributed "No Regrets," "Nicotine Girl," and "Death Do Us Part (Tell Me)"
The Beltways contributed "West Virginia Bound"